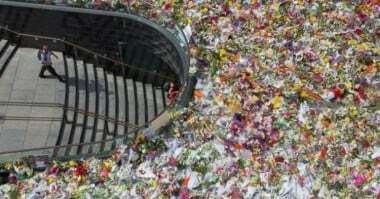 Sydney siege field of flowers to be removed this afternoon. The flowers will be removed this afternoon. 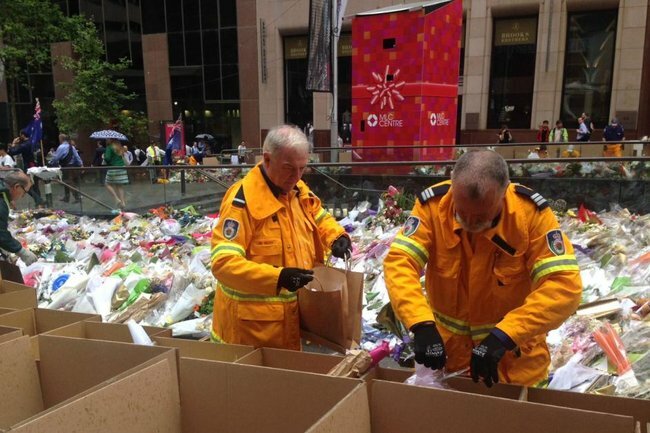 Thousands of flowers and floral tributes brought by crowds of people for the victims of the Lindt Chocolate Cafe siege are being removed from Martin Place in Sydney. The decision, made because of forecast wet weather, was reached in consultation with the families of Tori Johnson and Katrina Dawson, who were both killed in the siege. The flowers’ removal will allow all the notes, messages and cards attached to the bouquets placed in tribute over the last week to be preserved. Over 100,000 bouquets of flowers placed as a tribute to the victims of the siege in Sydney’s Lindt Café will be removed this morning before the predicted wet weather hits Sydney today. Fairfax Media reports that along with the consultation of the families of Tori Johnson and Katrina Dawson Sydney City the NSW Premier Mike Baird said that the flowers would be used for clean mulch at a site to be chosen by the victims’ families. The notes and cards will be kept. From today people can still leave flowers under a covered marquee but the victims’ families are encouraging donations to either the Katrina Dawson Foundation or Beyond Blue. Tori Johnson funeral to be held today. 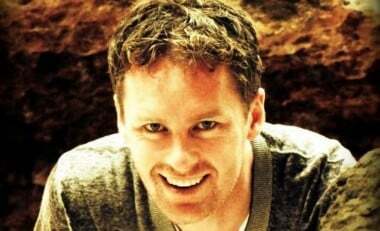 The funeral of Sydney Siege victim Tori Johnson will take place this morning at St Stephen’s Uniting Church in Macquarie Street just round the corner from the Lindt Cafe in Martin Place. His family says it will be a ‘celebration’ of a man described as “humble and gracious”. Top barrister and mother-of-three Katrina Dawson’s funeral took place yesterday. A memorial service for her will be held this afternoon in The Great Hall at the University of Sydney. Her family have asked for those attending to wear a splash of Ms Dawson’s favourite colour – aqua. Joe Cocker has died at the age of 70 after a battle with lung cancer. He is best known for songs like ‘You are So Beautiful,’ ‘With a Little Help from my Friends,’ and ‘Unchain My Heart’. His agent Barrie Marshall remembered him as a kind and humble man who loved to perform. Two cleaners have been jailed in Jakarta over the sexual abuse of a young boy at one of Indonesia’s most prestigious international schools. Fairfax Media reports that the two cleaners at Jakarta’s Intercultural School were found guilty and sentenced to seven and eight year prison sentences. The family of the abused boy is suing the school and seeking $125 million in damages. Several people have reportedly been killed and injured in Glasgow after a rubbish truck ploughed into Christmas shoppers in the city centre in an apparent accident. A spokesman for Scotland’s police service said he could not give an exact number. At least seven people were seriously injured and the number might rise, he said. 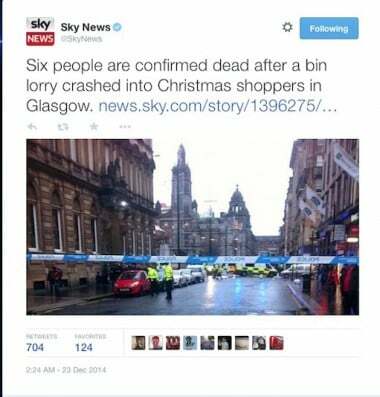 Sky News has reported six people had been killed. One witness said the truck appeared to have driven out of control along a pavement in the city centre shopping area, close to fairground attractions and an ice rink set up for the Christmas holiday. “A bin lorry did a run of about 70 to 80 metres on a pavement, mostly on a pavement and knocked down people because it was on a very busy crossing,” said George Ieronymidis, 58, owner of a nearby Greek restaurant. Two witnesses on a tour bus said the driver of the truck had been slumped over the steering wheel as it moved down the street, Mr Leronymidis said. The incident took place the day after a driver in France ploughed into pedestrians, injuring 11 and shouting “Allahu Akbar”, meaning God is greatest in Arabic. But a Scottish police spokesman insisted there was nothing “sinister” about the Glasgow incident. A version of this story was originally published on ABC and has been republished with full permission. 6. Henry Keogh granted bail after serving 20-years prison in South Australia. Henry Keogh with the woman he is accused of drowning. An Adelaide man jailed 20-years ago after being convicted of murdering his fiancé has been granted bail after a judge granted him a retrial. 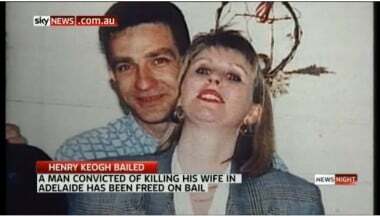 Henry Keogh was jailed for life in 1995 after being convicted of the drowning murder of his fiance Anna Jane Cheney at their home in 1994. Over his jail time lawyers acting for Keogh made multiple appeals against his conviction, all of which have been dismissed reports The Advertiser. Keogh’s latest and successful challenge arose after laws were introduced allowing cases to be re-opened if fresh and compelling new evidence emerged. It will be Henry Keogh’s first Christmas home in 20 years. With just three pieces of mouldy bread left and forced to drink rainwater from a plastic dish lost father and sons Steven van Lonkhuyzen, Ethan, 7, and Timothy, 5, may have been close to a tragic ending. They had been stuck in the Queensland outback for 10 days before being rescued by a farmer. This farmer, Tom Wagner set out to rescue the lost trio as he didn’t want another awful ending just before Christmas. He is who we think is a true Christmas hero. The sign from the Longreach Cafe. It came to light when a review was posted to the Eagle’s Nest Bar and Grill’s automatically generated Facebook page. 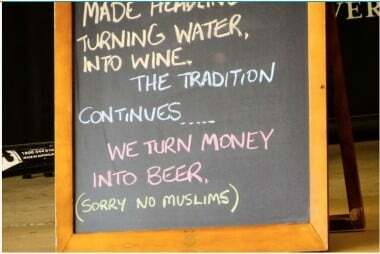 “Just a bit surprised to see the sign up ‘Sorry No Muslims’ … what’s that about?? ?” wrote a woman named Helen Day. The post sparked a mixed reaction, with some condemning it, thought others (strangely) stood up for owner’s right to display such signs. Owner of the restaurant John Hawkes told the ABC that the sign was up for a total of nine hours. “Over the past 24 hours, my business and now my home has received more than 200 phone calls,” Mr Hawkes said. “While the great majority are in support of free speech and are of patriotic sentiment, we have fielded too many abusive and threatening calls. For this I apologise to my family. “I sincerely hope I don’t end up sanitising my every thought to the robotic degree that is evident in commercial life around us. The Governor General Peter Cosgrove will swear in the new cabinet today after the Prime Minster Tony Abbott announced a new line up on Sunday. It comes amidst calls for the Prime Minister to step down as Minister for Women after he made comments yesterday that his biggest achievement as Minister for Women was getting rid of the carbon tax because “as many of us know, women are particularly focused on the household budget”. Seven teens pregnant after a school trip. Seven schoolgirls aged between 13 and 15, have fallen pregnant after a five-day school trip. Out of 28 girls, seven fell pregnant on the trip. 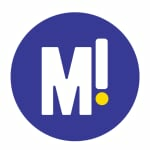 According to Inserbia.info the girl’s parents are being blamed for not educating them about sexual health. Sony has announced it does plan to release the Seth Rogen-James Franco comedy ‘The Interview’ only days after it announced the film would screen not in theaters for its scheduled US Christmas release date. Last week Sony said it had canceled their release of the film after hackers, thought to be funded by the North Korean Government threatened terrorist attacks on cinemas screening it reports the New York Post. 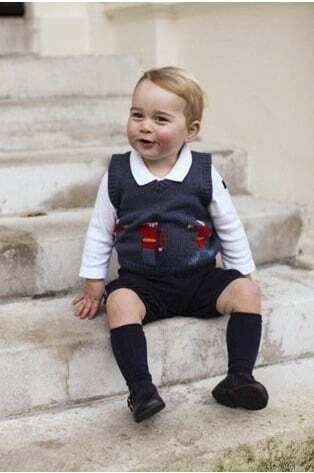 Aw Merry Christmas Prince George. Coming from an infamous UK tabloid’s “source” there is no guarantee this is actually the true, but at this time of year who cares? We want to believe and so we shall. The Daily Mail has reported that the adorable Prince George is getting a £4,650 (A$8909) handcrafted rocking zebra from his loving Granny and Pops this year (on the maternal side). No reports as to what the paternal Pop is wrapping up for the little tot. We think it sounds delightful and can only hope that they get a matching one for his soon to arrive sibling.